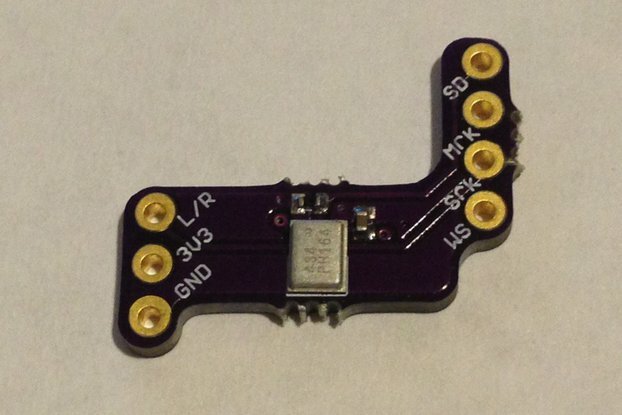 128 Mbits of fast flash memory attached directly to your Teensy! 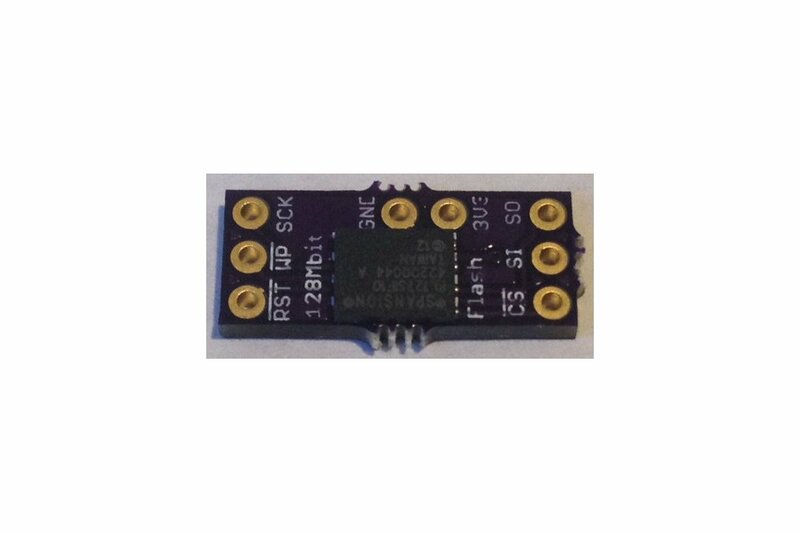 Macronix's MX25L12835FZNI 128 Mbit 133 MHz Flash Memory using SPI to communicate with your microcontroller. 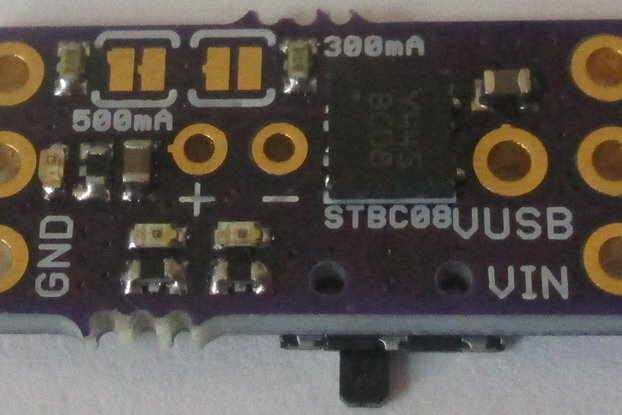 The boards are designed to mount directly onto a Teensy 3.X or Butterfly development board and are of such small size that they won't interfere with other add-ons like battery chargers or motion sensors or IO ports like the I2C port (e.g., on pins 16/17 of the Teensy 3.2). Aaron Ryan has created some very nice CAD models of this add-on, see here. 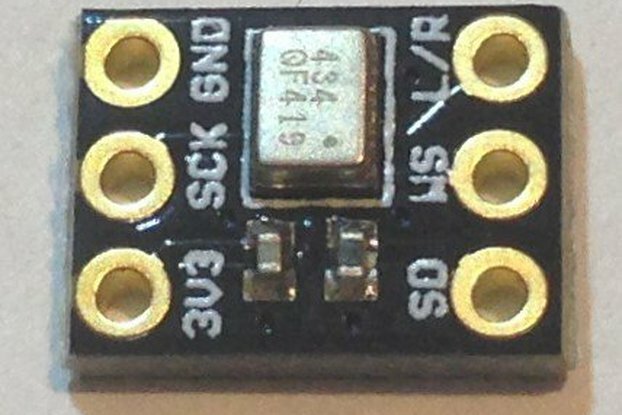 The 3V3-only boards have a 100 nF bypass capacitor to reduce high-frequency noise and 100K pullups on the CS lines to reduce chip select problems. 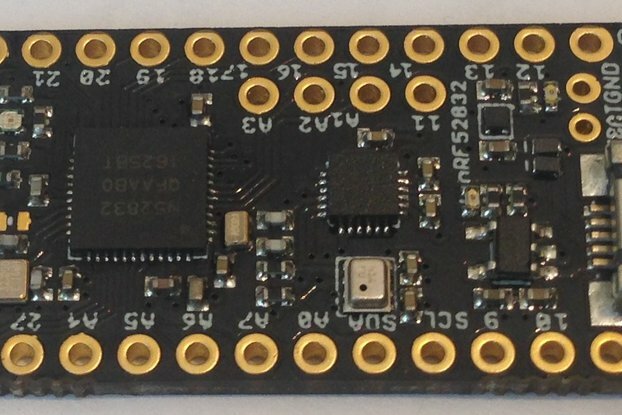 There are several existing SPIFlash libraries which make using these chips very easy! 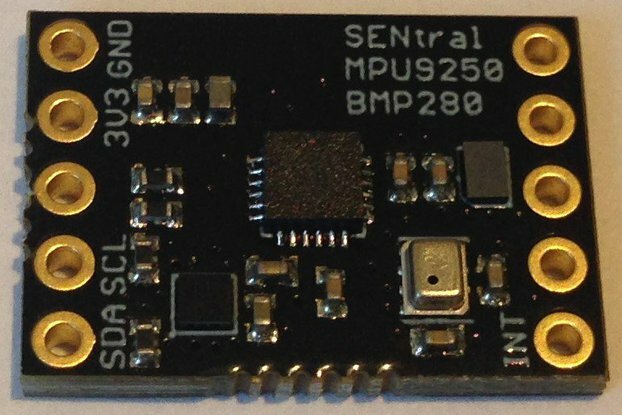 Here is a primer on SPI in general. These are very fast chips. They take about 400/800 microseconds to write/read a 256-byte page and 44 seconds to erase the entire chip. The read/write time is between 10 and 20 times faster than EEPROM. I recently switched from the Spansion flash to the Macronix because the latter use much lower power; the MX25L12835FZNI has a deep power down mode which uses just 2 uA! Everyone understands the need for compact data logging solutions. SD Cards are fine if you have the space, power, and it doesn't cause problems with other peripherals. This isn't always the case. 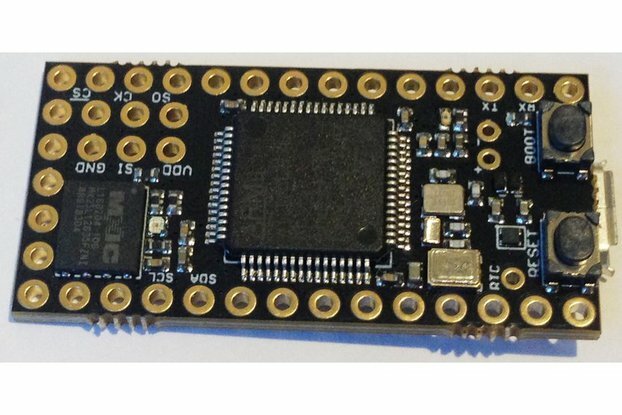 I started with EEPROMS, which are very low power and super easy to use, but they only provide at most 512 kBytes of data storage. This is enough for several minutes of motion sensor data logging, but there are many applications where this isn't enough. 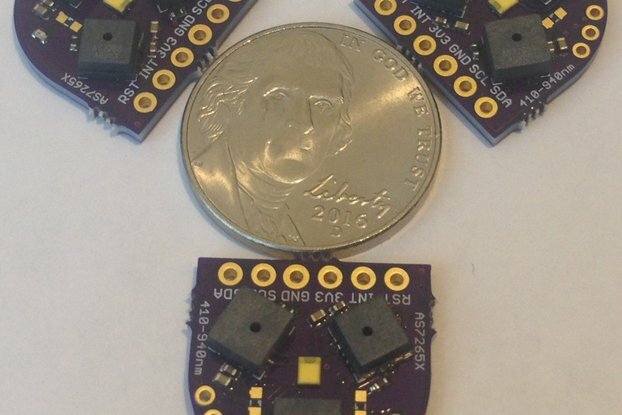 These SPI Flash memory chips increase the available storage by orders of magnitude. If 512 kByte of EEPROM can log a 100 Hz data stream for five minutes, the 128 Mbit flash can do so for 20 hours, the 1 Gbit flash for about a week. That's a lot of data! 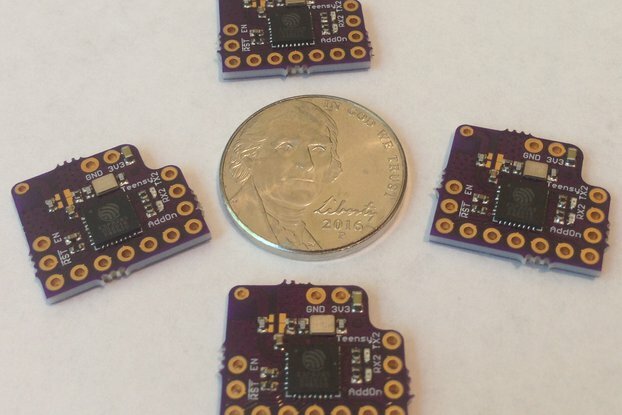 These are appallingly small boards that are designed to be soldered directly to your Teensy for fast and deep data logging applications. 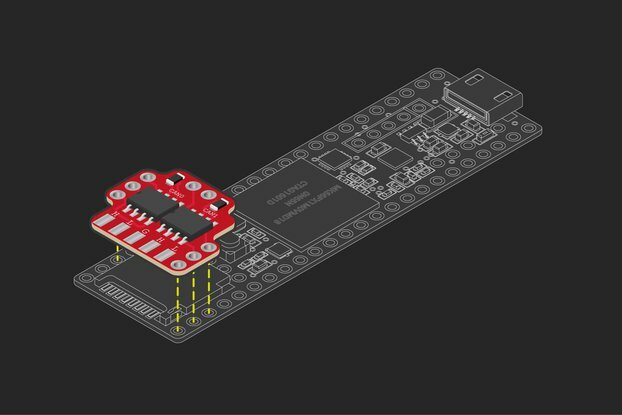 They can be used standalone on a breadboard also, but mounted on your Teensy is where they shine enabling low-power, fast, and portable data logging for many applications. 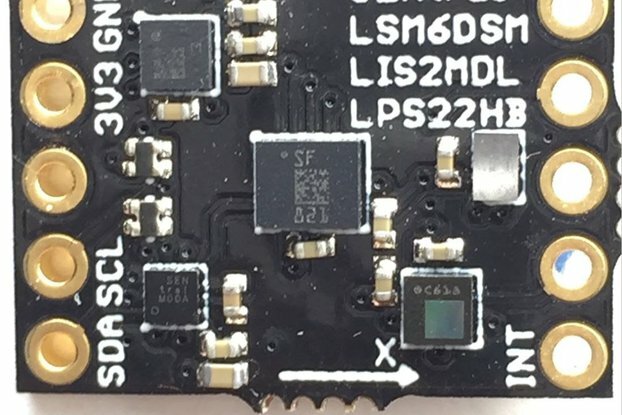 Order the pcb from OSH Park and assemble some of your own, or order the fully assembled and tested board from me and see what you can do with too much memory! I can't comment on how this works yet, there are many parts to my project and it being my first it is taking me some time to code other parts before I incorporate this piece. What I can say is that it was very easy to solder even for a beginner like me. I believe a large part of this is the high quality construction. It is as the maker states "appallingly small" making it very easy to fit into the tiny space available in my project. Delivery to the UK was very cheap and fast and I will definitely look here first if I need anything more, I will update once I have the code in place. Thank you. This works great. It does what I expect it to do. 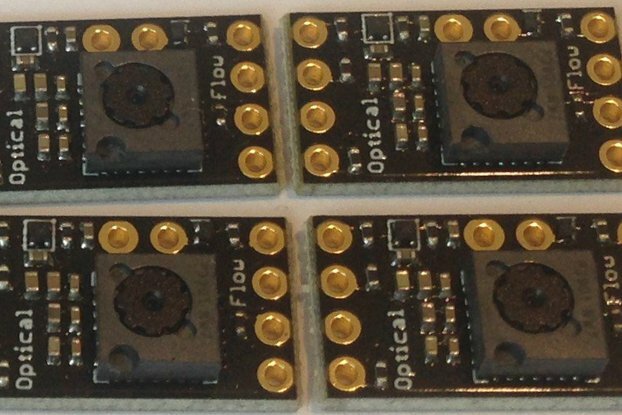 I have purchased three and have them wired to Teensy 3.1. They sit very close to the Teensy 3.1 keeping overall profile low. I mount them on the bottom of the Teensy 3.1. Kris's software works for original testing. My software allows me to perform data acquisition and to dump the data on request.